Referral of a future EF Group Leader: You earn $5 per name and contact information of a valid referral given to EF Explore America between March 15 and March 22. A valid referral is a teacher who has not led a prior EF tour as a group leader or co-group leader. The $5 per valid referral will be mailed out to you, the referrer, by April 30. You will also earn 300 points, a taxable cash bonus or one free spot on a Teacher Appreciation Weekend when your referral leads an EF Explore America or EF Educational Tours tour with at least six paying travelers within four years of the date you submitted the referral to EF. If your referral travels with EF College Study Tours you are not eligible for a spot on a Teacher Appreciation Weekend. Only one bonus may be awarded per tour. If your referral is valid, 300 Global Points will automatically post to your account on the day your referral departs on their qualifying EF Tour. If you prefer the cash bonus, the 300 Global Points will be deducted from your account and you will receive a check (cash bonuses will generate a 1099 tax form). Similarly, if you prefer the Teacher Appreciation Weekend, the 300 Global Points will be deducted from your account. To qualify for a Teacher Appreciation Weekend, your referral must lead a qualifying tour within the same travel season. Referral bonuses will not be awarded for your co-Group Leader unless your co-Group Leader is teaching at a different school. Your referral must not have led a prior EF Tour. The referral bonus is not valid for a replacement Group Leader if you are no longer able to lead your tour. EF will notify you if you have qualified. 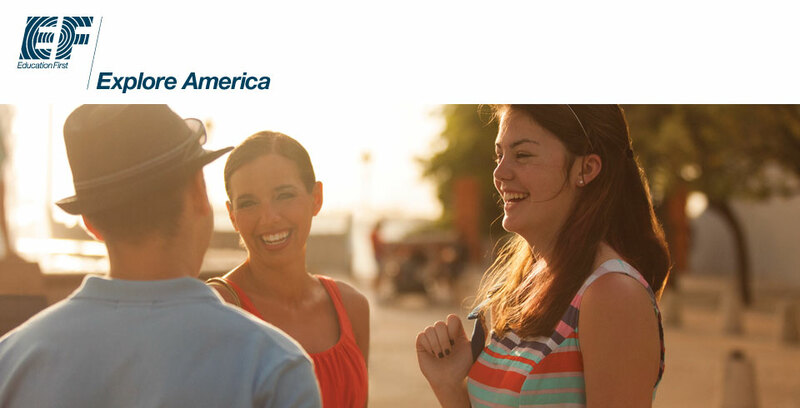 Referral bonuses are valid for EF Explore America, EF Educational Tours, and EF College Study Tours, not Go Ahead Tours. Referral bonuses are not retroactive. EF reserves the right to amend or cancel the bonus at anytime. HOW TO ENTER: No Purchase Necessary. To enter, Group Leaders should visit efexploreamerica.com/s17-pl-referral or call EF Explore America at 1-800-503-2323 and provide the name and contact information of a potential future Group Leader, who must not have led a prior EF tour as a group leader or co-group leader. Required information includes the teacher’s first and last name, email, telephone, school name, school state and school zip code. EF Explore America can be contacted at Two Education Circle, Cambridge, MA 02141. ELIGIBILTY: The drawing is open to either full or part-time teachers or administrators at the middle school, junior high school or senior high school level living in the United States who have traveled with EF Explore America in the past two years (2015, 2016), or have at least one paying participant enrolled on a tour for this year or a future year (2016, 2017, 2018). Employees (and their immediate families and household members) of EF and its affiliates are not eligible. GRAND PRIZE: The prize (a total of two prizes will be awarded) will include either a $500 travel scholarship to be used on an EF Explore America tour, or an iPad mini 4 with an estimated value of $399. GRAND PRIZE DRAW: The winner will be selected in a random drawing in April 2016. Participants agree to be bound by these rules and all decisions of the judges, whose decisions on all aspects of this drawing are final. The winner will be notified by April 30, 2016. The winner does not need to be present to win. EF Explore America will notify the winner by phone, email or standard mail. EF Explore America, its affiliate agents and others working for them or on their behalf, will have the right to photograph the winners and entry constitutes permission to use their names, pictures, likenesses, school’s name and city and state of residence(s) in advertising for no additional compensation. Starting dates and ending dates for receiving entries are March 15, 2016, and March 22, 2016, respectively. DECLARING THE WINNER: Prize must be claimed by May 31, 2016. Failure to execute and return any requested document(s) within 14 days of receipt, or return of notification or prize as undeliverable may result in forfeiture of prize and an alternate potential winner being selected at the sole discretion of EF Explore America management. Winners must execute EF’s Release and Agreement, Booking Conditions, etc. EF Explore America makes no warranties with respect to the prize. The drawing is void where prohibited or restricted by law and is subject to all Federal, State, and Local laws and regulations. All taxes on prizes are solely the responsibility of the winner. To learn the name of the winner, contact EF Explore America after April 30, 2016. EF Explore America is not responsible for any lost or misdirected entries. Prizes are non-transferable and may not be redeemed for a cash equivalent. The drawing is eligible to residents of the United States and Puerto Rico only.